Mind Bomb: P019: Swedish electronica and Kontra-Musik special. P019: Swedish electronica and Kontra-Musik special. New show is up and this week we are all about Sweden!!! We have a triple special: firstly Kontra-Musik, secondly female electronic artists and thirdly the late and great film director Ingmar Bergman. You can find all this only on Scanner FM and Cabeza de Vaca. 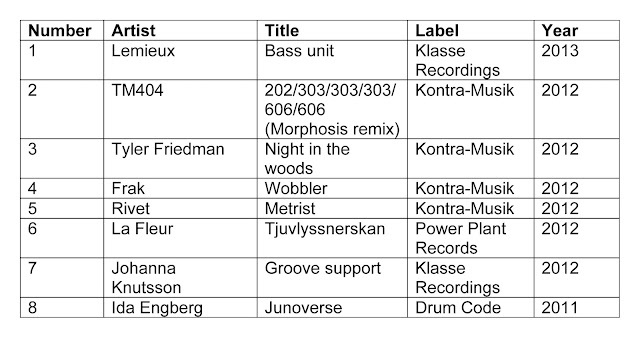 First some thanks: firstly, “tack” to Jimi Disco at Subwax BCN for putting me in contact with Ulf Ericsson at Kontra. 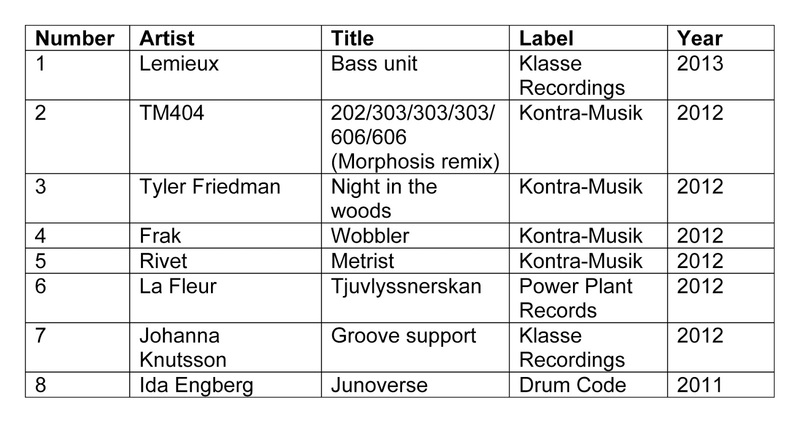 Ulf duly put me in contact with Johanna Knutsson at Klasse Recordings who helped tracking down some female artists, some of whom I couldn’t get tracks for in time for the show, sadly. Secondly, in an earlier, deleted take I gave a shout out to my old housemates Peter and Johanna who are in Malmö, but in a subsequent version I omitted to say hi. So “Hallä” to them and their family. A few little points. Definitely worth looking at the videos of Andreas Tilliander aka Mokira and TM404. Here are two of them just to compare. New album was out too close to the show date to get a track in, but it looks killer. I also mention Andreas previous foray into Ingmar Bergman territority with his Mokira moniker. His “Persona” album cae out in 2009 on the Type label and it somehow manages to mix influences as far afield as Bergman and Spacemen 3! “Persona” is not only one of Bergman’s greatest films, but one of the best films of all time. So many levels of meaning and complication and also tricks of technique that are only possible in the medium of film. A true masterpiece. The Ingrid Bergman of the film is the legendary Ingrid of "Casablanca" fame, but no family relation to Ingmar. Bergman’s other masterpiece and one that is less often mentioned is “The Hour of The Wolf”. An absolutely devastating and utterly paranoid and nearly delusional film with some of the greatest scenes and characters in cinema history. Maverick noise/techno trio Frak have been around the traps since 1987 and there are plenty of archive videos on Youtube for the hungry. Here is one or two just for a teaser and to highlight their oddball stage presence and their synth pop origins. Masterful! And La Fleur is on the road as far afield as Sydney in the month coming. Show your support! P021: Cabeza de Vaca – Christopher Rau. P020: Cabeza de Vaca - Shifted.